On Maundy Thursday the choir sings a new piece, Ubi Caritas, written by Nils Greenhow, a regular member of the choir at St Matthew's. On the fourth Sunday in Lent, Miriam Cooke reads from Maria Boulding's The Coming of God and Francesca Pringle sings Cacccini's Ave Maria. The Director of Music is Nigel Groome. On the third Sunday in Lent, the choir of St Matthew's Westminster sings Like as the Hart by Herbert Howells. The Director of Music is Nigel Groome. The choir of St Matthew's Westminster sings Kyrie from Missa Aeterna Christi Munera by Palestrina (1525–1594). The choir of St Matthew's Westminster sings Litany to the Holy Spirit by Peter Hurford. On Christmas Day, the choir of St Matthew's Westminster sings the Sans Day Carol, arranged by John Rutter. On the fourth Sunday of Advent, the choir of St Matthew's Westminster sings Herbert Howells' Magnificat (Collegium Regale). On the third Sunday of Advent, the choir of St Matthew's Westminster sings "This is the record of John" by Orlando Gibbons. On the first Sunday of Advent, the choir of St Matthew's Westminster sings 'Creator of the Skies' by Malcolm Archer. On the Feast of Christ the King, the choir of St Matthew's Westminster sings 'Let all the world', arranged by Ralph Vaughan Williams. The composer is a member of the choir of St Matthew's Westminster. This is the first time the music has been recorded. On Sunday 15th July we held a service of Confirmation, celebrated by Archbishop Josiah Idowu-Fearon, Secretary-General of the Anglican Communion. This was a very special day in the life of our community. ​See all videos in our podcast series 2018. We started our Easter celebration on Saturday evening. The Easter Vigil begins with the lighting of new fire and the lighting of the Easter Candle, which is then brought into the still dark church. Joy breaks out; we renew our baptismal promises, and share the new life of the first Easter communion. Our series of twice-weekly podcasts which was broadcast throughout Advent, can be seen here. The preacher at the Solemn Mass to celebrate St Matthew's Day was the Bishop of Manchester, the Rt Revd David Walker, and there was a party afterwards at which we said farewell to our departing Pastoral Assistants, Isaiah Atwiine and Ryan Williams. Following his ordination to the priesthood, Fr Jamie offered the Mass for the first time on 21st June 2017. This was a sung Votive Mass of the Holy Spirit, and the preacher was the Dean of Canterbury, the Very Revd Robert Willis. Forty years ago on 10th May 1977, the church was almost totally destroyed by fire, caused by arson. It was subsequently rebuilt on a smaller scale to a design by Donald Buttress and dedicated in 1984. To mark the anniversary we held a Solemn Mass with special music, followed by a reception. Members of St Matthew's Westminster joined thousands of other Londoners in St Paul's Cathedral to say farewell to the Bishop of London. Bishop Richard's valedictory sermon spoke of the need to tackle climate change, and embrace difference and diversity. London Boroughs Faiths Network (LBFN) is an active, informal network of people from local religious and intercultural groups promoting social inclusion, religious harmony and learning. We have recently redeveloped the church forecourt to make it a more attractive space, to provide public seating and to enhance the prominence and significance of the church’s main entrance, giving it a more vibrant and visible frontage. Praying with beads is a very simple way of finding a rhythm and creating space for personal prayer wherever you are. 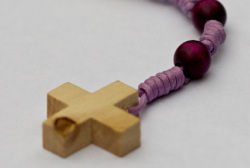 The Anglican rosary is inspired by the traditional rosary but is more flexible and adaptable to the seasons of the Church’s calendar. 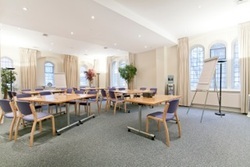 Our conference centre is an attractive venue for meetings, exhibitions and receptions. Trevelyan Hall can comfortably accommodate around 60 people and the Atlay Room is suitable for up to 12 people. Call 020 7222 6535 or email﻿ ﻿Enver for details. in line with the General Data Protection Regulation (GDPR). If you’d like to know more, please see the new privacy notice. If you have not opted in and want to continue hearing from us, you need to let us know. St Matthew’s is committed to protect and care for everyone with whom it has contact as part of its ministry, and especially for children, young people and adults at risk.